Back to the Sunday spectacular which is the Art Dump. This week I don’t have a lot of pictures because while I have been sketching everyday some aren’t particularly worth displaying haha. If I get a chance during the coming week I would like to attempt to clean up one of the below pieces just to see how it would look. But enough rambling and on with the art. 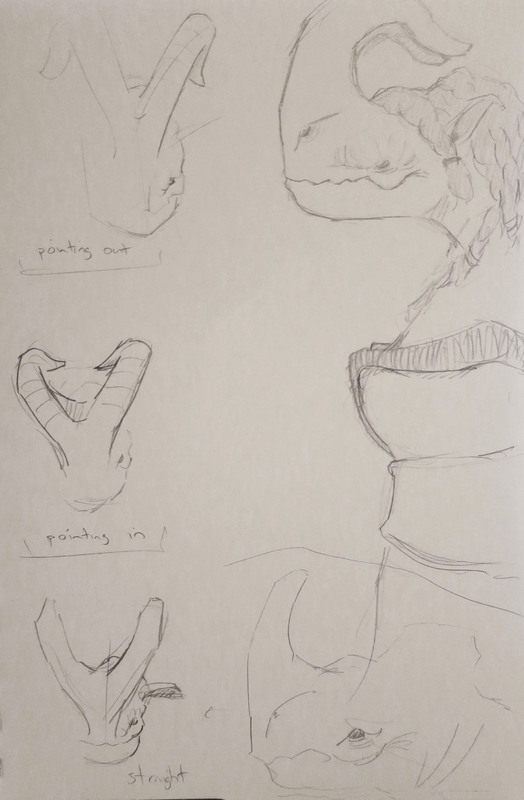 First up is a sketch page just looking at the horns on the Two Horn. I can’t decide quite how they work, whether they curve up and back or simply up and split or anything in between. Here I was working with the horns curving back and then seeing how they look with the tips pointed in versus out, versus straight. Next up may be my favourite drawing so far of a Two Horn. I don’t know what it is but it just works for me. The enlarged arms, the exaggerated pear shape, they all just work for me. I’m fairly happy for this to set the direction in terms of designs going forward for the Two Horn. All that I need to do now is come up with a decent pose and decide on the details of her outfit. 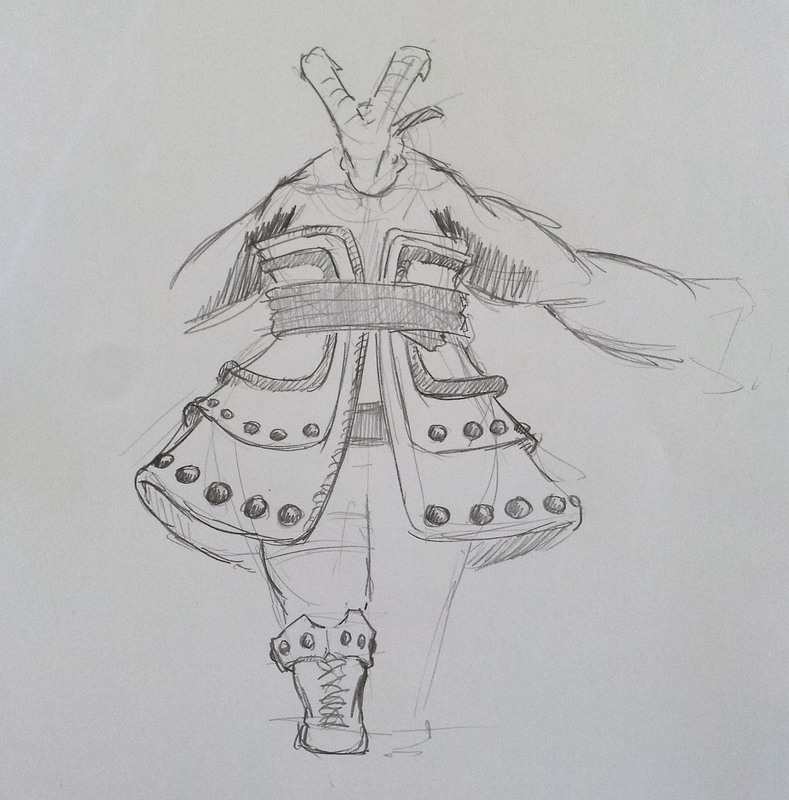 Lastly for this week I have a similar image to above fresh from the sketch book this morning. 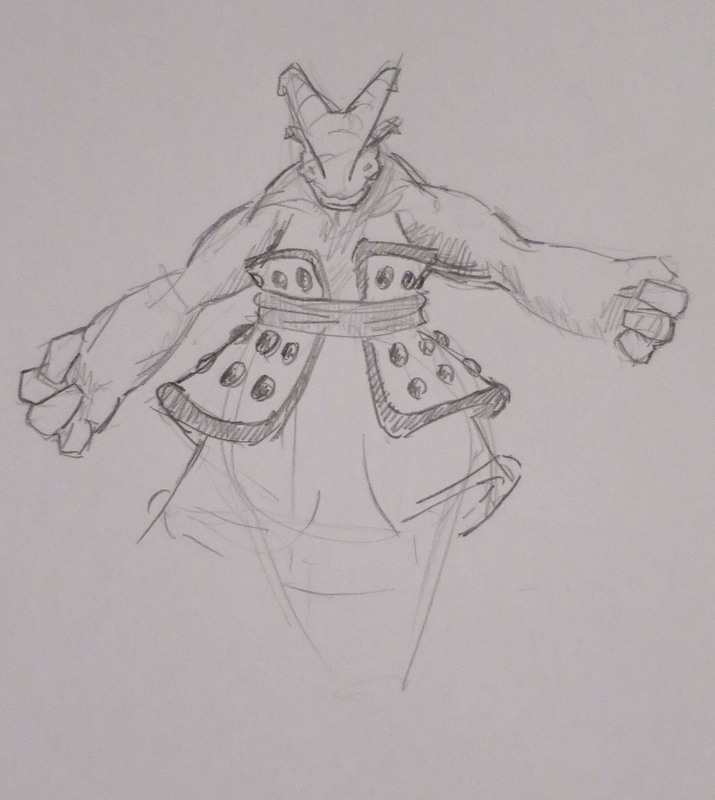 Tried to look at a slightly different armour layout while keeping the same design as above. Looks cool but still needs work I believe. As always if you’ve got any feedback or ideas let us know.